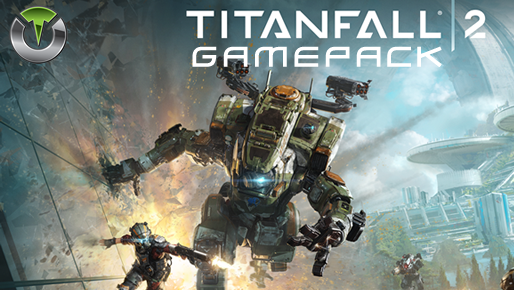 Titanfall 2 Gamepack for Titan One. When rapid fire is enabled, you can turn virtually any semi automatic weapon into a fully automatic weapon. This creates a very unique advantage for players using semi automatic weapons in Titanfall 2. While rapid fire will not usually make a fully automatic gun shoot any faster, it can have positive side effects on fully automatic guns such as reducing recoil, helping players conserve ammunition and achieve more headshots. The exclusive Advanced Rapidfire MOD features an unprecedented control of the parameters and physics inherent to the weapons models, such: Rapidfire frequency, period and duty; First to second shot delay and Burstfire. The full configuration of the Advanced Rapidfire MOD is only possible using Gtuner's Gamepack Configuration Interface. Rapidfire Mode determines an assist action to be used together with the activated Rapidfire and/or Alternate Rapidfire. The ADS (scope) enables Rapidfire and disables the Alternate Rapidfire. The ADS (scope) disables Rapidfire and enables the Alternate Rapidfire. The Rapidfire will only be activated by fully pressing the fire trigger. The Alternate Rapidfire is activate when the fire trigger is not fully pressed. When the Alternate Rapidfire is enabled, it will be activated based on the Rapidfire Mode configuration. For example if your regular Rapidfire is only active when ADSing then the Alternate Rapidfire will be activated when you are not using the ADS. This behavior can be very handy to set a precise rate of fire while aiming and a more aggressive rate of fire while hipfiring. Anti-Recoil is activated while firing and only at the release time of the Advanced Rapidfire. When you pull the fire button, your character will drop to crouch position and begin firing. This is useful for players that like to maintain stealth and reduce their target profile. This also assists in increasing accuracy in combat. This action is not performed if the ADS (scope) is in use. This performs the same action as crouch shot but is only activated when you FULLY press the fire button. When you press the fire button your character will immediately jump and begin firing. This action is not performed if the ADS (scope) is in use. When you press the fire button, your character will begin to make side movements and begin firing, confusing the enemy in the process. This action is not performed if the ADS (scope) is in use. The idea behind quick scope is to use a sniper rifle, scope IN and fire the shot as the gun scopes in. Perfecting the aiming and timing will allow you to become a one-man commando with your sniper rifle. To fire a quick scope shot, quickly TAP your scope button (less than 140 ms tap). The MOD will automatically scope in, take a shot, and scope out. Check the menu system instructions above for more information on how to adjust the timing in this mode. This mode is specially designed for sniper rifles. It automatically holds the sniper's breath when scoping in. Upon activation. the MOD will hold the sniper's breath when scoping. The player no longer has to push the left thumbstick to hold breath. Hold breath at the same time you press the ADS (scope) button. Hold breath is only active if the ADS (scope) button is FULLY pressed. Enable extra features of the Gamepack, such as Double Jump and Hair-Trigger. Automatically performs the highest double jump just by holding jump button. With Hair-Trigger MOD you can ensure your weapon will fire or ADS as soon you touch the correspondent trigger. Enable both Double Jump and Hair Triggers. Most users play Titanfall 2 using the default button layout but a lot of players do use optional button layout. With the Button Layouts you can make any of the MODS on the Titan One work with your favorite button layout. Quick Scope timing is adjustable.